Dr. Sale is a Professor in Civil and Environmental Engineering at Colorado State University. Dr. Sale has had a distinguished career spanning the last four decades including extensive experience in consulting engineering, academic teaching, and industry/academic research. 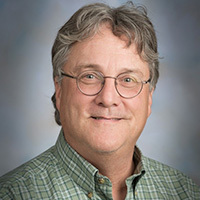 Dr. Sale’s abilities are reflected in his appointment to National Research Council (2005) and USEPA (2006) committees addressing subsurface remediation, academic roles on ITRC committees, receiving of the 2014 US DoD SERDP Project of the Year award for environmental restoration, a long list of accomplished students, over 50 peer reviewed publications, and seven final and two pending patents. Inclusive to Dr. Sale’s experience and skills are 1) successful management of multi-disciplinary teams working on large projects, 2) approximately $20 million dollars in research funding to date, 3) leading roles in driving inventions (11 patented technologies) to broad use, and recent NAPL short courses taught at Harvard, Colorado State University, and the University of Calgary. Amazingly, after four decades of active remediation we are still making new and important discoveries regarding processes controlling nonaqueous phase liquids (NAPLs) in soils, groundwater, rock, and sediments. This talk will highlight recent NAPL-related findings and NAPL issues needing further attention. First, consideration will be given to temporal evolution of NAPL bodies and NAPLs themselves. Secondly, considerations will be given to NAPLs occurring as temporally varying wetting and non-wetting phases. Thirdly, the promise of high-resolution continuous soil redox data will be introduced including its use in documenting gas ebullition in NAPL zones and barometric pumping in the vadose zone. Lastly, a vision for a new world of sensor-based big data/IoT/AI environmental monitoring will be advanced.